To my knowledge, none of the questions I wrote in my previous piece - 30 questions That Journalists Should be Asking About the Skripal Case – has been answered satisfactorily, at least not in the public domain. “It is now clear that Mr Skripal and his daughter were poisoned with a military-grade nerve agent of a type developed by Russia. 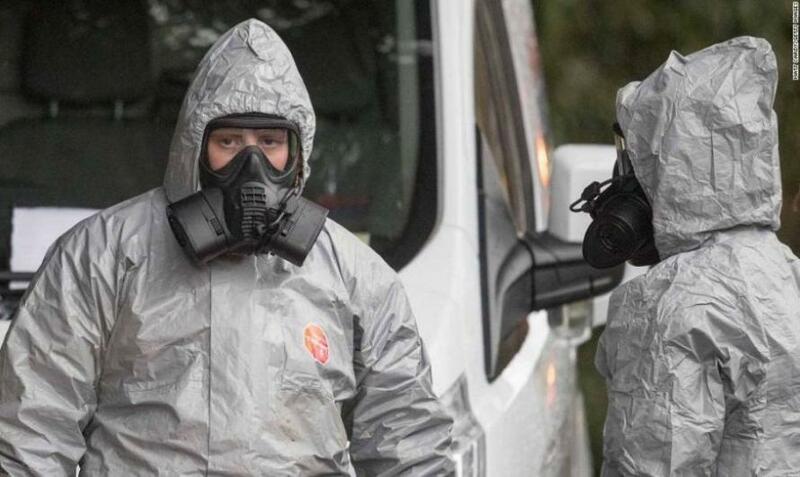 This is part of a group of nerve agents known as ‘Novichok’. Based on the positive identification of this chemical agent by world-leading experts at the Defence Science and Technology Laboratory at Porton Down” [my emphasis added]. “Blood samples from Sergei Skripal and Yulia Skripal were analysed and the findings indicated exposure to a nerve agent or related compound. The samples tested positive for the presence of a Novichok class nerve agent or closely related agent” [my emphasis added]. 5. Why were the phrases “related compound” and “closely related agent” added to the statement given by Porton Down, and is this an indication that the scientists were not 100% sure that the substance was a “Novichok” nerve agent? 6. Why were these phrases left out of the Prime Minister’s statement to the House of Commons? 7. Why did the Prime Minister choose to use the word “Novichok” in her speech, rather than the wordFoliant, which is the actual name of the programme initiated by the Soviet Union when attempting to develop a new class of chemical weapons in the 1970s and 1980s? “They do. And they were absolutely categorical and I asked the guy myself, I said, ‘Are you sure?’ And he said there’s no doubt” [My emphasis]. If Mr Johnson’s statement is correct, and the Defence Science and Technology Laboratory (DSTL) at Porton Down has samples of “Novichok” in its possession, where did they come from? 12. Does this admission by Mr Johnson not indicate that “Novichoks” can be made in any advanced chemical weapons facility, as indeed they were under the auspices of the OPCW in Iran in 2016? 15. On March 26th, a number of countries expelled Russian diplomats in an apparent response to the incident in Salisbury. Yet at this time, the OPCW had not yet investigated the case, nor analysed blood samples. Why was the clearly co-ordinated decision to expel diplomats taken before the OPCW’s investigation had concluded? 16. Has this not put huge pressure on the OPCW to come up with “the right” conclusion? 17. It is reckoned that the OPCW’s investigation into the substance used will take at least three weeks to complete, whereas it took Porton Down less than a week to analyse it. What accounts for this difference? 18. Will the OPCW be using the samples of “Novichok” that Boris Johnson says are held at Porton Down to compare with the blood samples of Mr Skripal and his daughter? 19. If not, on what basis will this comparison be made, since the first known synthesis of a “Novichok” was made by Iran in 2016? 20. If the OPCW discovers that the substance is indeed a “Novichok”, will this be sufficient evidence with which to establish who carried out the attack on the Skripals or — given that other countries clearly have the capability to produce such substances — would more evidence be needed?